Mo-Mentum Fitness Small Group Training provides an intimate, focused environment (6 people or less) where you receive the individual attention you need to reach your goals, as well as the energy of a small group of people working towards similar goals. One of the best features of our SMALL GROUP PROGRAMS is that you CAN PICK YOUR SMALL GROUPS. We have several specialty small groups and each of our Mo-Mentum Trainers has a different focus and style of training. 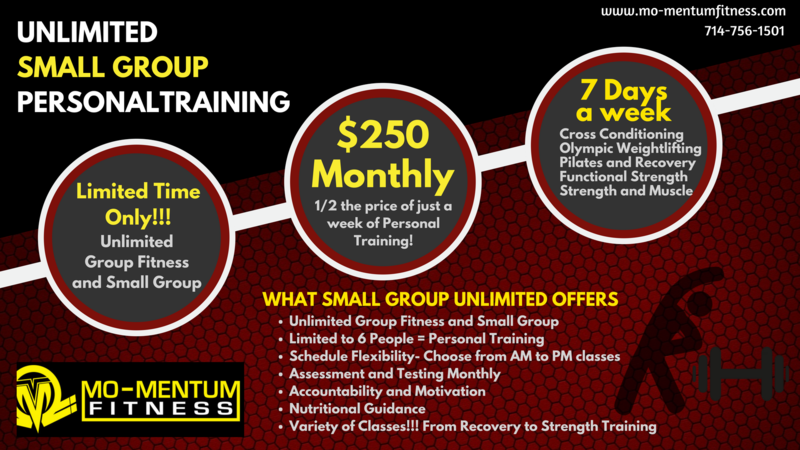 You will have one main trainer in your small group program but you can also join different small groups. This way if you can’t make your regular session one day, you can join a session on another day and time. AND, if you want to join the spartan small group, or weight lifting or cross conditioning small groups you can do that as well. 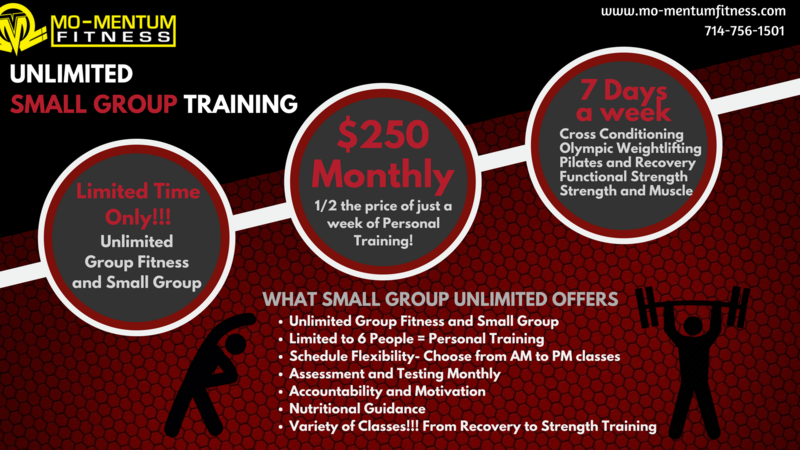 Our small group programs provide you with personal training and variety! You are not limited to one small group, instead you can chose different small groups based on your schedule and needs.